Google Earth’s got some competition now — from the Indian Space Research Organisation (ISRO), which today unveiled its beta version of Bhuvan (meaning earth in Sanskrit). 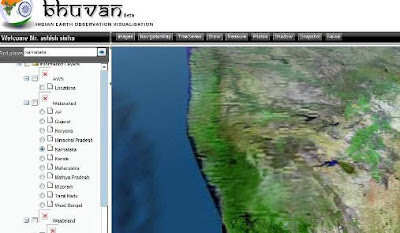 Bhuvan is a revolutionary mapping application by ISRO that claims to serve images with far higher resolution than Google Earth. Bhuvan will use images taken by ISRO’s seven remote sensing satellites. It also provides tools for measuring, drawing, saving, printing and visualizing thematic information. The resolutions currently on offer are good enough to view a vehicle moving on a road quite clearly. But there is something special in Bhuvan that keeps Google Earth and Wikimapia aside. Bhuvan will have a greater zooming efficiency that will help you recognize details upto a 3 storey building and all its data will be updated every year, unlike Google and Wikimapia which updates in every 4 years. 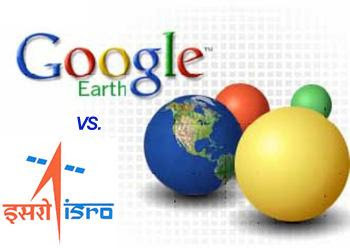 Bhuvan, an ambitious project of ISRO was started to take Indian images and thematic information in multiple spatial resolutions to people through a web portal through easy access to information on basic natural resources in the geospatial domain. Visualise 2D and 3D image data along with rich thematic information on Soil, wasteland, water resources etc. How to Download & Install Bhuvan? Download the Bhuvan plugin from here (its actually Skyline’s terraexplorer plugin) and Microsoft’s DirectX. In order to install the plugin, you need to have the administrator privilege in your machine. The product works only in IE and is quite buggy to start with. All said and done, the product is very well timed – we are close to celebrate India’s independence day and Bhuvan is one crown that ISRO will be known for in the coming years.